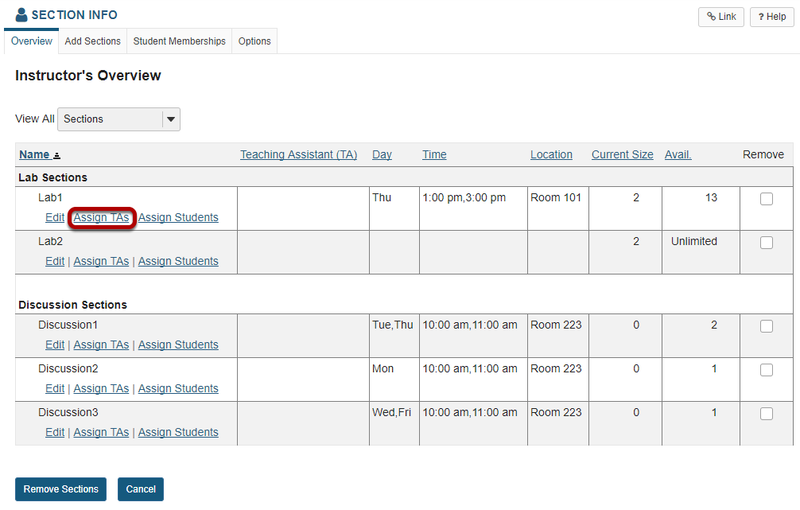 Sakai Guides and DocumentationSakai Complete User Guide Section InfoHow do I add teaching assistants to a section? Adding TAs to a section allows them to view and edit student information, such as grades, within their assigned sections. Select from the list of available TAs. 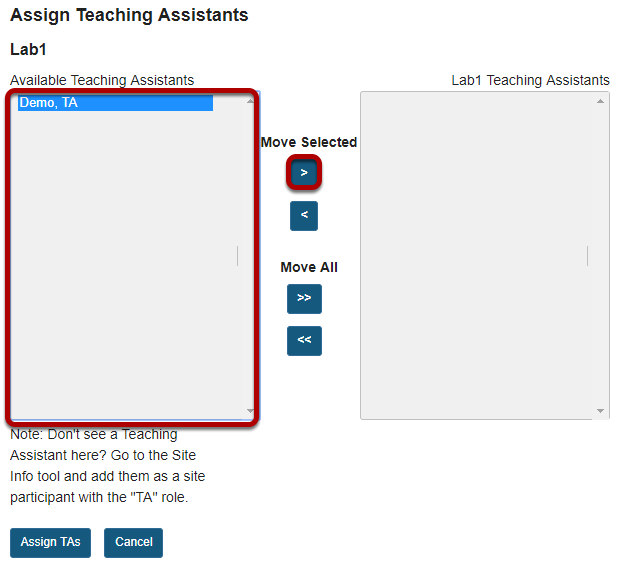 Click one or more TA names in the list of Available Teaching Assistants on the left, and then use the right arrow button to add the selected TA(s) to the section list on the right. Note: Users must be enrolled in the site with a TA role in order to appear in this list. When you have finished adding TAs to the list on the right, click the Assign TAs button. Prev: How do I add site members to a section? Next: How do I view student memberships?